It's premium sake on the dry side. The taste is refined and complex, with sophisticated flavors and elegant aromatics. It's premium sake slightly on the dry side. The taste is light and clean, with a gentle fragrance and mature flavors. It has mature and sophisticated flavors, and the tail disappears smoothly. This sake is dry and sharp. It has good substance with a rich and full flavor, and the tail disappears quickly. “Ginjo” is sake brewed from highly polished rice and fermented at a low temperature for a relatively long period. Its distinctive features are its aroma and delicate flavor. Best served chilled to retain the flavor. “Dai-ginjo” is sake brewed using rice with a seimai-buai(rate of polishing rice ) of at least 50%. The brewing process for dai-ginjo saké is more labor intensive than other types. Very much “hands-on” brewing. 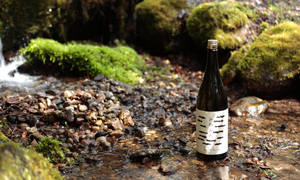 “Junmai” is sake made simply from rice and koji （malted rice）. It has a unique rich flavor. it can be enjoyed in various ways: warmed, chilled, on the rocks, or mixed with hot water. “Honjozo” is sake made with rice, water, koji and a very small amount of pure distilled alcohol to help extract flavour and aroma. Light, mildly fragrant and easy to drink. “Genshu” will have a high alcohol content and a strong flavor because no water was added after it was pressed. To serve, hot or cold water may be added. 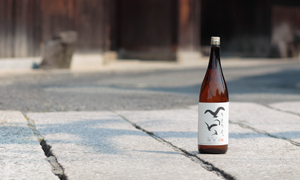 “Nama-chozo” is sake only pasteurized once either after or before maturation, respectively. It has a fresh aroma. So, it is best served chilled. MORIKUNI Sake Brewery Co.,Ltd. is established in 2005. MORIKUNI is the only sake brewery in Shodoshima. 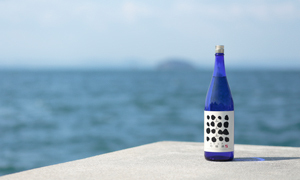 The company revived sake making in the island in 1970 after a blank of 35 years during which there was no locally while treasuring Shodoshima and preserving the island's traditions. 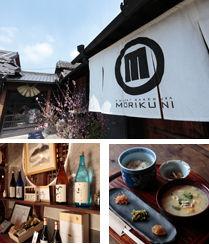 MORIKUNI proposes a pleasant and comfortable lifestyle enriched by Japanese sake. We aim to be a new type of brewery where people gather from all over Japan in search of new encounters.